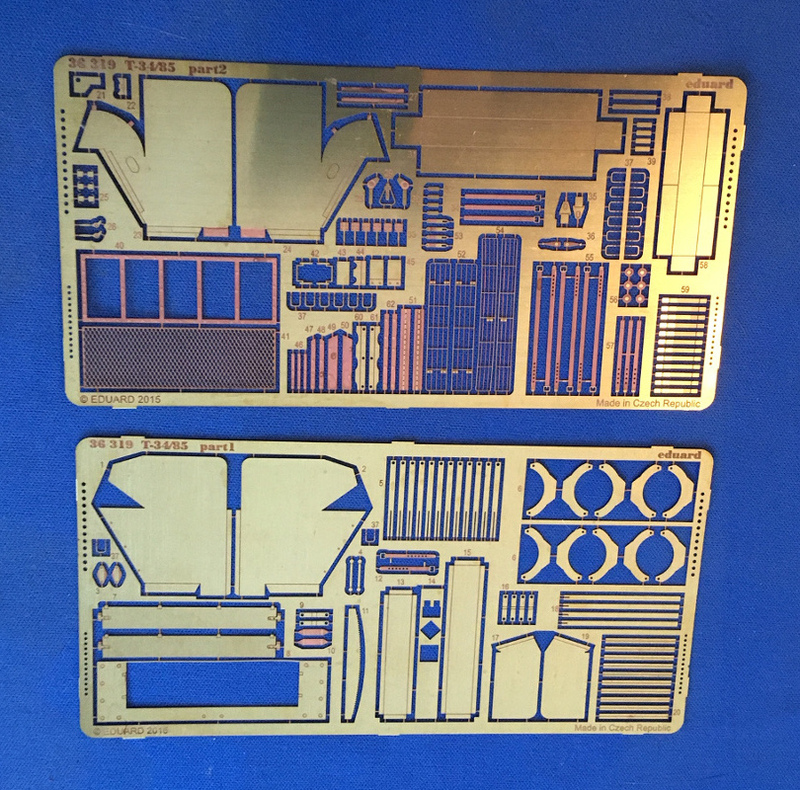 This set is designed for the Academy T-34/85 "No.112 Factory Production" kit, which I have recently reviewed. My overall impression of Academy's T-34 is that it is a good, simple kit of a good, simple design. The kit is well engineered and it well represents the 1/1 tank. All that being said, the kit will respond well to a few simple upgrades. And this is where the photoetch set comes in. It is a standard brass set, not color or self- adhesive. Eduard concentrates on brackets and fenders and other thin sheet metal items. The fenders are well represented and they include separate pieces for attaching hardware, and the set caters to differences for GPW and Korean War era machines. Eduard's brackets for headlights and other external stores are a considerable improvement on the kit parts. Some photo-etch folding will be needed, but not to the point of making miniature metal origami projects! Incidentally, the new tool kits can be posed open, and this provides some interesting detailing possibilities. Eduard also provides new fuel tank straps and mounts, which will add considerable finesse to these prominent items. 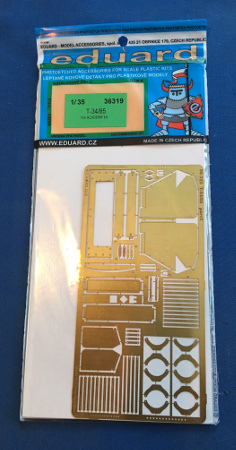 Eduard also includes replacement parts for the kit's only photoetch parts, the mesh covers for the engine bay. Eduard's versions appear to be both easier to use and more effective, in terms of detail. They achieve this with full frames around the grills, rather than strips across them, and by achieving a far more 3 dimensional effect to the screens. The screens are finished off with new p/e armored slats under the grills and this also looks better. Finally, the various handles for the hatches are done. Overall, this is a very comprehensive set. This set is the logical next step to building Academy's T-34/85. 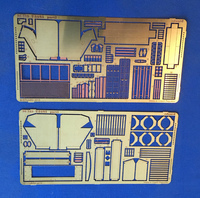 The kit is very nice out the box, but these photo-etch parts will add the level of detail that makes people look twice. The details are well thought out and logical. I recommend this set and I would like to thank Eduard for the review set.